From @BalancingMama: "I like your glasses"
Amelia, now a few weeks from turning five, has begun to question her glasses. Why does she have to wear them? How long does she have to wear them? Are her glasses forever? She really doesn't need strangers to convince her that her glasses are the focal point of her being. Of course she looks gorgeous in her wire rims with pink temples. And I completely understand that people believe they are being nice or helpful... but I wish "well-meaning" adults would stop bringing attention to Amelia's glasses every time we set foot inside a store - or a dentist's office. Amelia has a fun and funky fashion sense - why not comment on her fuzzy, sparkly pink boots? Or her jewelry? Or her gorgeous curly hair that looks amazing in any weather, including humidity? Or how about saying, "what a cute girl you are!"? This used to happen before she had glasses. 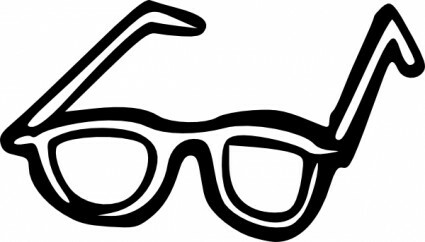 For a plethora of information on children in glasses, visit Little Four Eyes - you can join the Little Four Eyes Facebook group too!